Fan-belt being loose or overly tightened may become a reason to overheat the engine and damage the alternator. 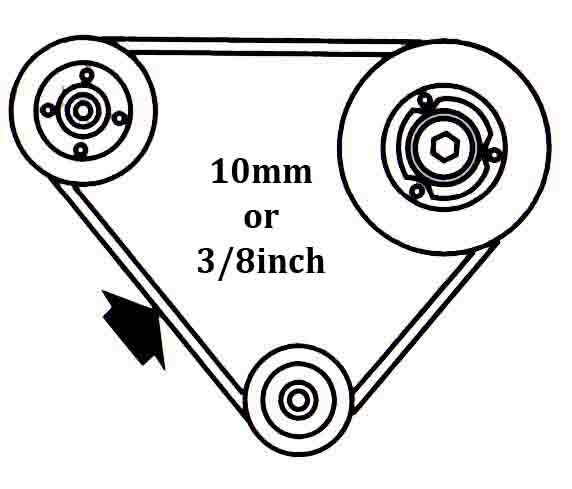 Therefore, it is necessary to have the fan-belt tightened to proper tension. 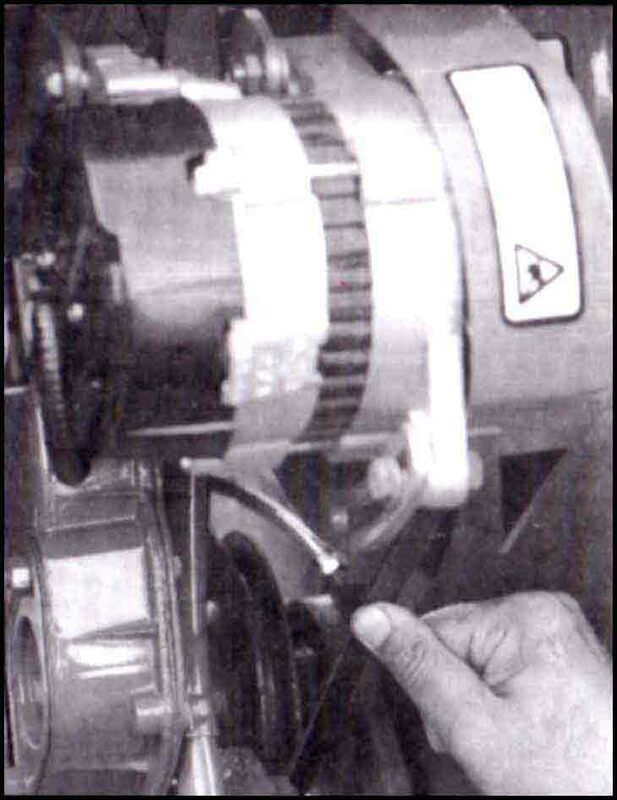 To check the tension, pressing the longer portion of the belt (between the alternator and crankshaft pulley as shown in the picture) with a force of approximately 10 pounds should loosen the belt 10mm or ⅜ of an inch. 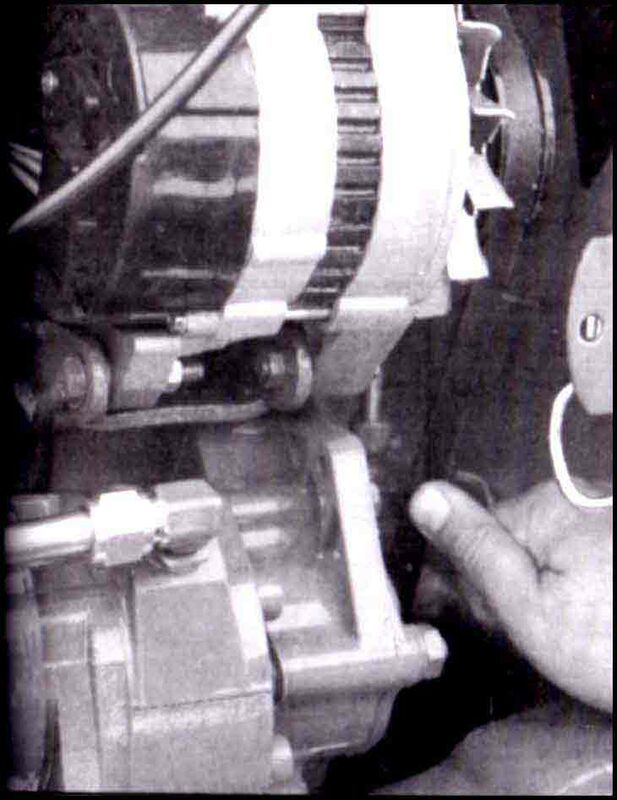 In case of improper tension in the belt, loosen the alternator and adjusting link nuts, and by pressing the alternator with the help of a lever, tighten the bolts after adjusting the belt’s tension. Check the tension again after tightening the bolts. Always use belts of correct size. Do not use any kind of oil or grease to mount the belt.